Industrial Gear We are market-leaders in manufacturing, supplying and exporting an optimum quality gamut of Industrial Gear. These gears are widely used in industries worldwide for its qualitative features such as abrasion resisting, corrosion-proof, high tensile strength and high efficiency. We manufacture these highly qualitative industrial gear in adherence with industrial set norms and standards. Our experts professionals use modern tools and advanced technology to fabricate these gears ensuring optimum satisfaction at customer's end. 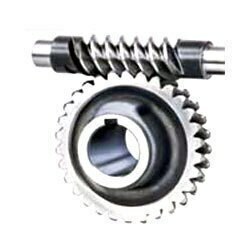 These industrial gears can also be customized as per the needs and requirements of our valued patrons.